I’m not hep with the latest Hollywood gossip. My celebrities, on most days, wear hiking boots, flannel shirts, and rarely any jewelry, lest a string of pearls gets hooked on a crooked vine. When Clarissa Nagy, owner and winemaker of Nagy Wines, contacted me about tasting and reviewing her current releases, I was star-struck. In my eyes, Clarissa is an inspiration — for women, for winemakers, for anyone who, like her, has found a passion and made it a life’s work. It’s interesting that my first taste of Nagy would be a Viognier, a varietal that, to me, can be much too delicate — what some would call feminine. Often watery on the palate, diluting the over-pronounced tropical fruit juice flavors, and with an abundance of that funky floral nose, Viognier can be quite, well, pretty. Pretty but not (always) tasty. But what Clarissa has done here is crafted a Viognier with backbone and substance. A feminine wine? No, a feminist wine — a wine with strength, purpose, and beauty. I came across this book when one of my Wine-Tweeps tweeted out that he was reading it. A sucker for anything literary and anything wine, I immediately threw it into my Amazon cart (along with like a 100-pack of k-cups, a pair of SJ Sharks earrings, new cereal bowls, a dishtowel to clean my Riedel stemware, and a kitchen sink…ah Amazon, the Target of internet shopping…). Not only did I thoroughly enjoy it, I highly recommend it — as a lit lover and as a wine lover. WARNING: I was pre-disposed to British humour as a young child and have an affinity for blunt, tongue-in-cheek dialogue. I’m also not offended by the obscene, vulgar, or grotesque in writing, film, or life in general. I’m in love with the boys at Banshee. But it’s purely wine-related, I assure you. How can I not be when they wrap everything I love about Sonoma into bottles of wine? Skeptical though you may be about a new-ish winery’s appellation series Chardonnay — I assure you, the 17 vineyard sites are anything buy crammed into the taste. Winemaker Noah Dorrance and team know how to show enough restraint to truly showcase –and enhance — the best qualities of the fruit. 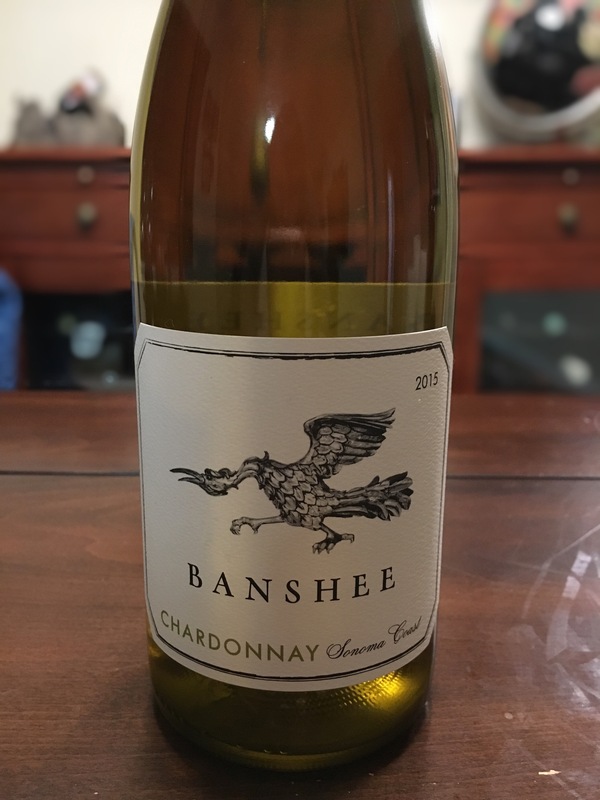 Cheers to Banshee Sonoma Coast Chardonnay.